Social media marketing is making use of social media properties in order to gain more traffic to your website or other web property. In general, social media encompasses many different properties that work in different ways. All these properties can be used in various ways to promote your company or product to the masses. It is a great add-on to search engine optimization. 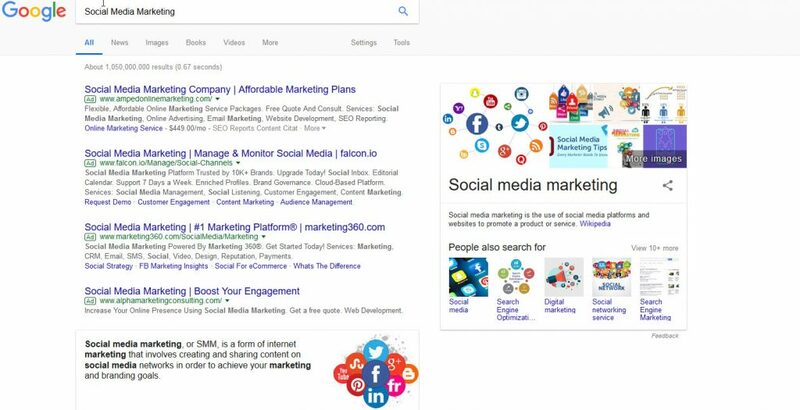 Believe it or not the connection between social media and SEO have a close relationship to each other. Social media has it own form of search that will allow individuals to find information relevant to their searches. In addition to this, the use of social media helps in the link building process very closely related to SEO. Google by far is the most widely used search engine and they do look at social signals to your website. This is a reason you will want to include Social Media Marketing in your efforts. Clearly the goal here is to become more engaged with your audience and this will make it easier to add additional marketing funnels to the mix. In closing, making use of social media marketing has the potential to bring additional business to your company. It is important to always evaluate each situation to determine if it is worth pursuing. Not all marketing efforts are necessarily worth putting into place because they will not bring a positive return on investment. This is the reason we put the necessary work in for each of our clients to see which marketing efforts will work best for them. If you are in need of digital marketing services, be sure to fill out our discovery form and we will be in touch with you soon.